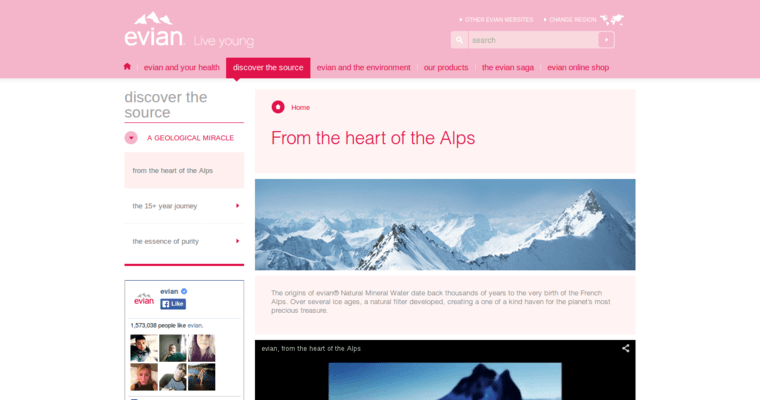 Evian natural spring water is captured at its source high in the French Alps. Starting as rain or snow over the northern mountains, Evian is naturally filtered through geographic sand layers that have built up naturally over 30,000 years. It takes 15 years to filter through the mineral aquifer until it emerges as a natural spring in Evian-Les-Bains in France. To ensure the purity of the water, samples are taken daily at 20 different points between the catchment area and the on-site bottling plant. 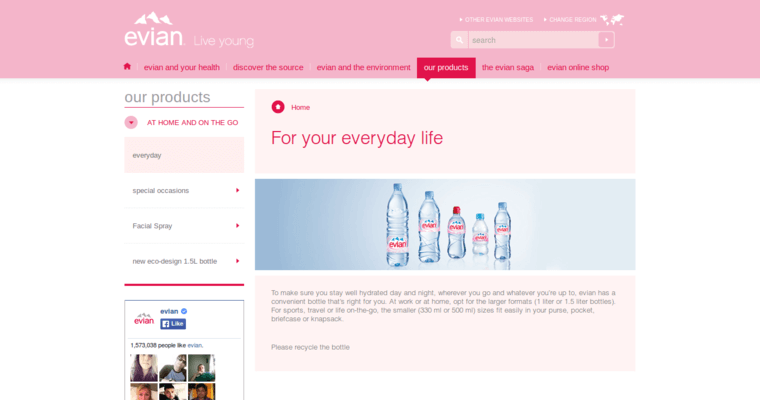 Evian meets or exceeds all the standards set by the FDA for bottled water. Evian has made a serious commitment to protecting the world's natural water resources. Their intention is to restore ecosystems destroyed by pollution and overuse of the land. Evian has taken a proactive approach to fighting climate change by planting millions of trees in specially selected countries to capture high levels of CO2.